I have pretty well behaved skin which means I am open to experimenting with new skin care, bath and body products. I spotted this Besure Aloe vera soap on snapdeal and decided to try it . Ingredients: Aloe Vera, Glycerin, Malaysian soap noodles and jojoba oil. 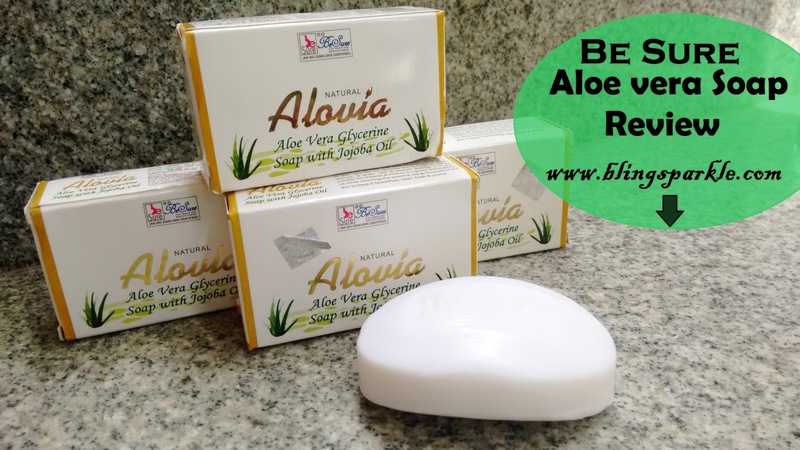 Product Claims: Besure Aloe Vera Soap genuinely poses natural antiseptic and moisturizer. It is convenient to use and handy for all skin types. The magnificent moisturizing content of the soap polish your skin thereby leaving a glow. You will feel the difference as the skin texture enhances with the pH formula. The Besure natural Alovia Aloe vera glycerin soap with jojoba oil comes in white cardboard box with the soap inside sealed in a clear plastic wrapper. The soap itself is oval and pure white in colour. This glycerin soap lathers well and has a light fragrance which fades off after the lather is rinsed. The soap is mild and leaves me with a cleansed and fresh feeling without drying out skin. I have dry skin and this soap works well for me and it should suit all skin types including beauties with sensitive skin. 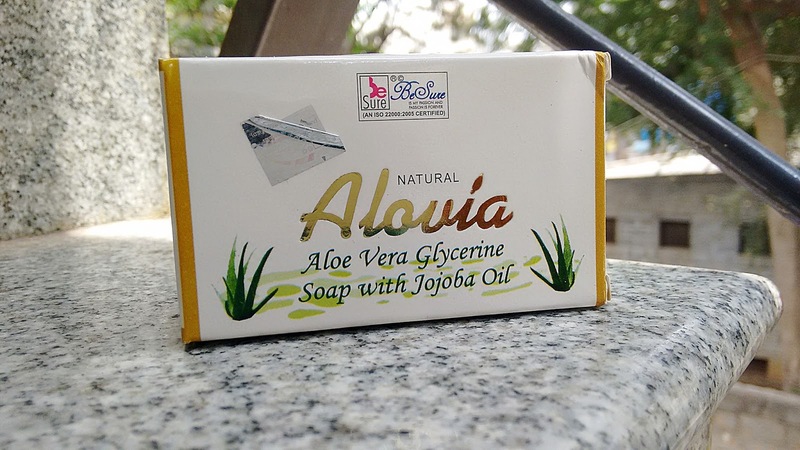 This soap has jojoba oil in it which leaves the skin moisturized and glowing. 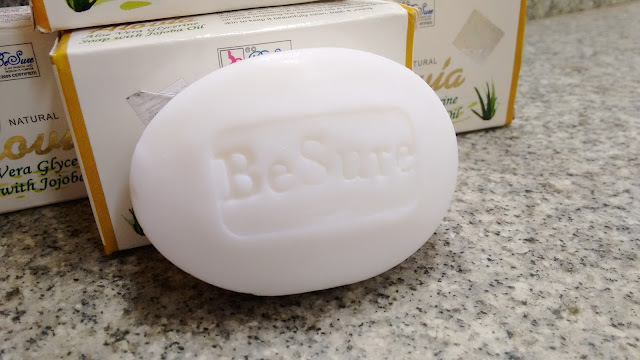 The Besure Aloe Vera Soap’s TFM (Total fatty material) is 70% and I recommend this soap for all to use in summers but in winters it could be drying especially on people with dry skin. Availability: Available on their official website and leading online retailers like snapdeal and flipkart. Overall BeSure Aloe Vera glycerin Soap is a pocket friendly soap which gently cleanses and freshens without drying out skin. 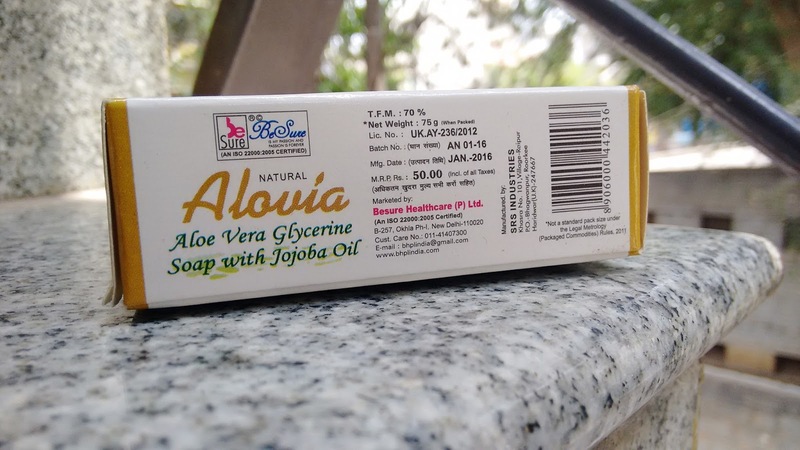 This soap will suit all skin types in summer and if you are looking for a mild and natural aloe vera soap go ahead and give this a try.